Most travellers know Pennsylvania as the birth place of the Declaration of Independence, but the large state has much more to offer than just history. The state’s landscape changes as you roadtrip your way across and your budget attractions range from historic to ultra-modern. 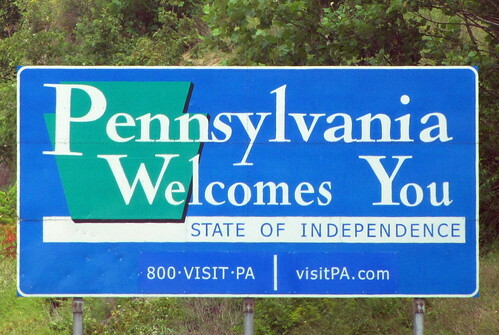 Learn more about America while in these top 10 places to visit in Pennsylvania. For history buffs and patriots the city of Philadelphia (“Phillly”) has many historic attractions: you can see the Liberty Bell; the Betsy Ross House (where the US flag was first sewn); the Independence National Historical Park and Independence Hall. Other attractions within the city include the National Museum of American Jewish History and the Philadelphia Museum of Art. The Masonic Temple has interesting decorative architecture and for the whole family – and don’t miss the “Please Touch Museum” for a hands-on educational experience. Continuing on a historic theme, the city of Gettysburg was the site of one of America’s most famous battles during the Civil War. Tour the battlefields and war museums or take a ghost tour as Gettysburg is one of the most haunted cities in the USA. The city of Erie is on the shore of Lake Erie and is Pennsylvania’s only seaside resort. If you are looking for a beach holiday (yes, really!) in the state then this is the place for you. The Presque Isle State Park runs along the water’s edge and is only 13km from the Erie city centre. Here you can dive, ride along the bike trails and go hiking. Erie is also home to 3 lighthouses, one you can visit is in Lighthouse Park. Erie is also home to the USA’s largest indoor water park – Splash Lagoon. The top Pennsylvania destination for families is the city of Hershey where you can find the Hershey Chocolate Factory (Hershey’s Chocolate World) and go on the Hershey Chocolate Factory Trolley ride, create your own chocolate bar, see a 3D show and much more. The whole town smells like chocolate! In the area around the city of Lancaster you can take a wine tasting tour which will bring you to several wineries including Nissley Winery, a family run winery. Get an idea of what plantation life would have been like by visiting this historic landmark in Lancaster’s Central Park. There are guided tours around the 18th century plantation with authentic artefacts from that era on display. 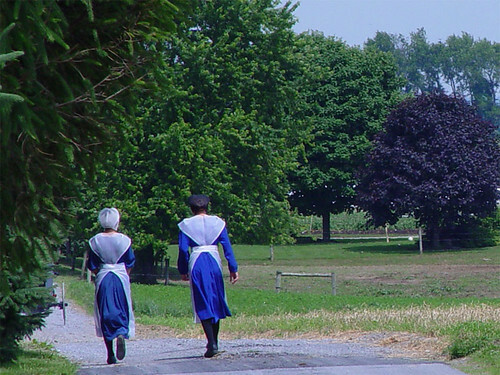 From Lancaster, the “Heart of Pennsylvania Dutch Country” take a tour to one of the Amish farms where this unique religious community lives a life without the material comforts we are used to, including not having electricity. On a tour of an Amish farm you will see horse drawn buggies, traditionally dressed Amish and you can buy some of their handmade goods. This is a large science museum with more than 250 hands-on exhibits, the museum incorporates the Museum of Natural History and the Museum of Art. This old fashioned amusement park is in the Guinness Book of Records! It was founded in 1898 and has been operating since 1921. It is a National Landmark and is famous for its frightening roller coaster. Just one of the coal mining tours that can be taken in the state (others are the Ashland Pioneer Coal Mine Tunnel and the Miner’s Village in Weatherly) this tour is of a working museum. Visitors are taken down beneath the ground into an old coal mine where you can experience a coal miner’s rather dim daily existence.